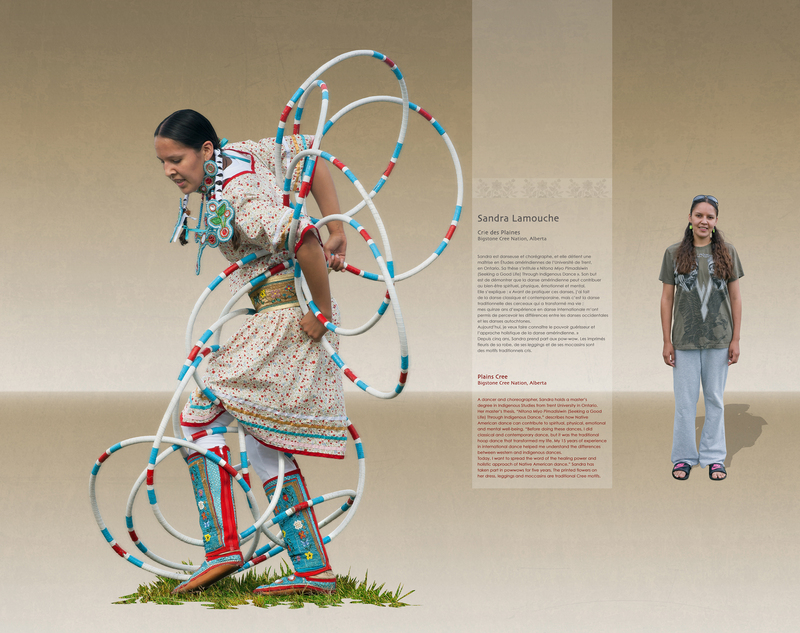 Discover the culture of powwows* and share in an authentic Indigenous encounter. Follow in the footsteps of photographer Roland Lorente and his partner Aline Saffore in their 10,000-km trek across Eastern Canada attending over 20 powwows. 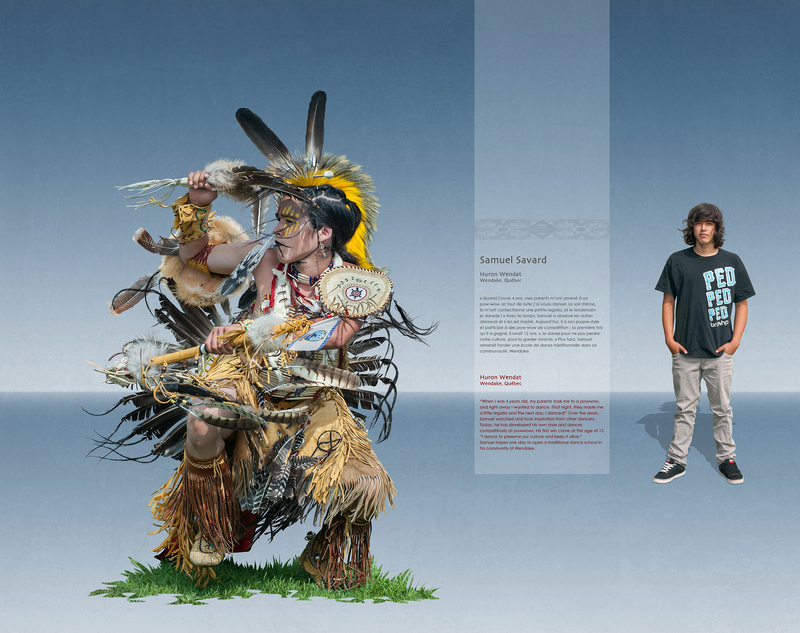 Explore striking imagery, outstanding personalities, and a culture proud of its heritage through 30 portraits of men, women, and children from 14 different nations dressed in stunning and colourful regalia, magnificent outfits that tell their personal stories as well as those of their people and their worldview. * A powwow is a summer gathering held by North American Indigenous peoples. It features Indigenous music, dance, regalia, traditional food, and crafts. Open to everyone, the purpose of these large celebrations is to share First Nations, Métis and Inuit heritage and culture with others. Traditionally, powwows were an opportunity to resolve conflict, establish new alliances, and engage in trade.